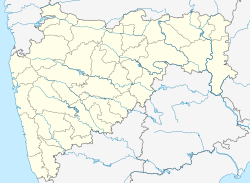 Ajara is a census town and taluka headquarters Of Gadhinglaj Subdivision in Kolhapur district in the state of Maharashtra, India. Ajara is located at 16°07′N 74°12′E﻿ / ﻿16.12°N 74.2°E﻿ / 16.12; 74.2. It has an average elevation of 660 metres (2165 feet). Ajara is known to be one of the southernmost talukas of Kolhapur District of Maharashtra. It is known for its scenic and green landscape, as well as for the Ajara Ghansaal rice. Ajara falls on the way to Savantwadi, Goa from Kolhapur; it is also the last place of Desh region before Konkan on this route. Ajara is 84 km from Kolhapur and only 33 km from Amboli hill station. Buses plying from Vengurla, Savantwadi to Kolhapur, Pune via Amboli ghat go via Ajara. As a taluka place, it does have a bus stand, bus depot, school-colleges, bazarpeth, Hotels, etc. Gadhinglaj is the nearest major city for Ajara. As of 2011[update] India census, Ajara had a population of 18000 . Males constitute 51% of the population and females 49%. Ajara has an average literacy rate of 75%, higher than the national average of 59.5%; with 55% of the males and 45% of females literate. 12% of the population is under 6 years of age. Marathi is predominantly spoken here. ^ "Pin code of Ajara". citypincode.in. Retrieved 2014-03-22. This Kolhapur district, Maharashtra, India location article is a stub. You can help Wikipedia by expanding it.